If you are operating a garbage disposal that is more than five years old and it is not performing in the way you expect it is likely time to find a replacement. A garbage disposal that is 5 to 10 years old is probably not worth repairing and you will find that a new model will meet your needs much more effectively and be more energy efficient and quiet in the bargain. 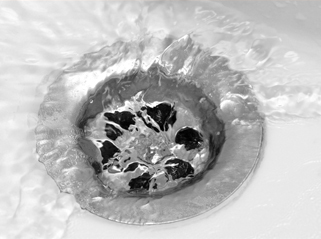 Our Garbage Disposal Replacement in Mesa, AZ team can help. When you make the decision for Garbage Disposal Replacement in Mesa, AZ take some time to choose your new one wisely. Although you can find fairly inexpensive models know that they are typically less study and may not be able to handle the amount of kitchen waste you will be sending its way. Investing in a stainless steel model is usually a good choice -- it is still reasonably priced but tough enough to manage your peelings, rinds and other debris. If you have questions about which disposal is best for your situation do not hesitate to call and discuss the pros and cons of different types including the needed horse power for your kitchen. Garbage Disposal Replacement in Mesa, AZ is best done by a professional plumber to assure that all connections are also up to the task and worn fittings replaced. When you call to ask about the best disposal be sure to set up an appointment to have your choice installed. Our technicians are well trained in replacing garbage disposals and will remove the old unit and fit in the new quickly and appropriately, up to the codes in your location. Once the new garbage disposal is installed your plumber will be able to give you tips on how to operate it properly. If you follow these hints your new garbage disposal will be ready to give you years of worry free operation.